One Man and A Brush offers professional drywall repair and installation services to help you improve your Woodstock home. Whether it’s finishing out your basement or other rooms or it’s repairs needed prior to painting, our contractors are able and ready to assist you with all your drywall services for your Atlanta area home. We can complete the finishing phases which include tape, top, skim, and texturing. One Man and A Brush drywall contractors can easily match your old textured finishes or can help you to refinish it. We are experts at applying new, blending, and repairing. It literally takes years of practice to be able to do drywall repairs well. The drywall has to look perfect or it will show up easily. Drywall isn’t something that you can just slap on the wall and hope it smooths down well! If you have sheet rock or drywall that’s had some wear and tear put on it, we can take care of the repairs for you. You’ll need it repaired prior to painting as well. Holes and damages done in previous times should be fixed before the walls can be painted. Our expert drywall installation and repair team is available to help your repair your drywall with exceptional workmanship. 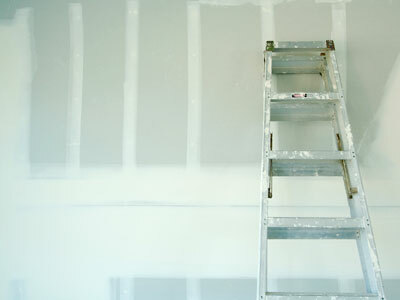 Why Hire One Man and A Brush for your Drywall Repairs? If you want professional results for your drywall repairs in Woodstock that are affordable, you’ll need our quality drywall contractors at One Man and A Brush. To be able to work with drywall or sheet rock, you have to have some time under your belt in order to get it done right. Drywall may look easy to install or repair, but it’s not easy to do, especially when it comes to getting a smooth, professional look that you can’t tell where there was anything ever repaired or installed in the past. We specialize in giving you quality you expect for every project we handle for you, including drywall repairs or installations. We have plenty of industry experience and have served the Woodstock area since 2005 with excellent services. At One Man and A Brush, we offer customers their free estimates up front. You’ll get a fair price with professional, high quality work. If your project involves painting with some drywall or other carpentry repair, our Woodstock painters get it all worked out on one fair quote. We base our estimates on a value system instead of a rate by the hour and adding on for all the little details we can think of. Our focus is on providing our customers with the best services possible at a rate they can afford. If you are looking for a drywall repair and installation service in the Woodstock area then please call 678-368-5115 or complete our online request form.